As you can probably tell, we haven’t done much. Sitting and small walks must be what is required at the moment. It has been great to sit around a fire at night – this must be the first time we’ve been allowed to have a fire for ages. Sorry, fellow climate change believers, but there are just some times when you have to do it. 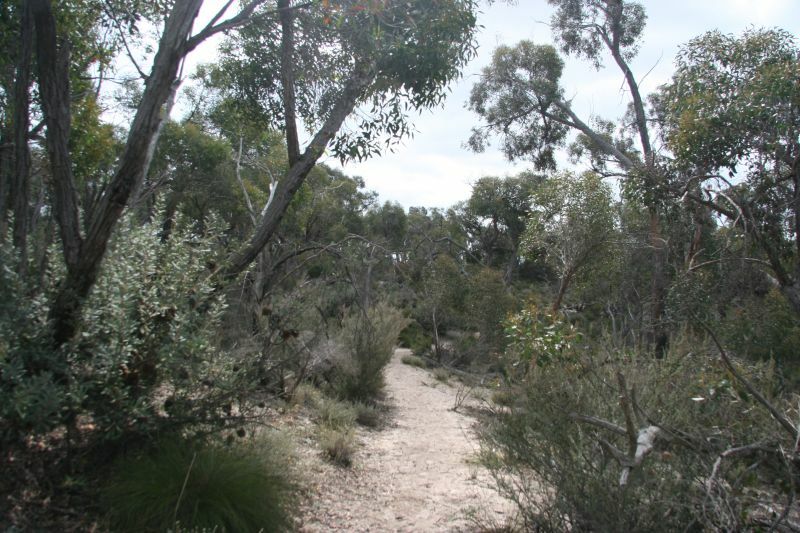 Yesterday we walked the Pomponderoo Hill Nature walk, a lovely meander through typical desert country. Stunted bushes and stringybarks, grasses and the remnants of extremely old banksias, the seeds of which have regenerated after a hot fire in 1977. 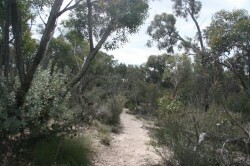 The walk is on the park’s northern boundary, 4kms south of Dimboola. At the top of the hill is a platform, giving you a 360 degree view of the Little Desert. Parts of the track were surrounded by these beautiful little lillies, giving off a fragrant perfume. Today we are in Bordertown. Power, water, no fires, but on the main highway to Adelaide! The wind is very strong and the forecast is for another forceful front to pass through tonight. We survived the last one and there isn’t any sand here, just a nice grassy area. 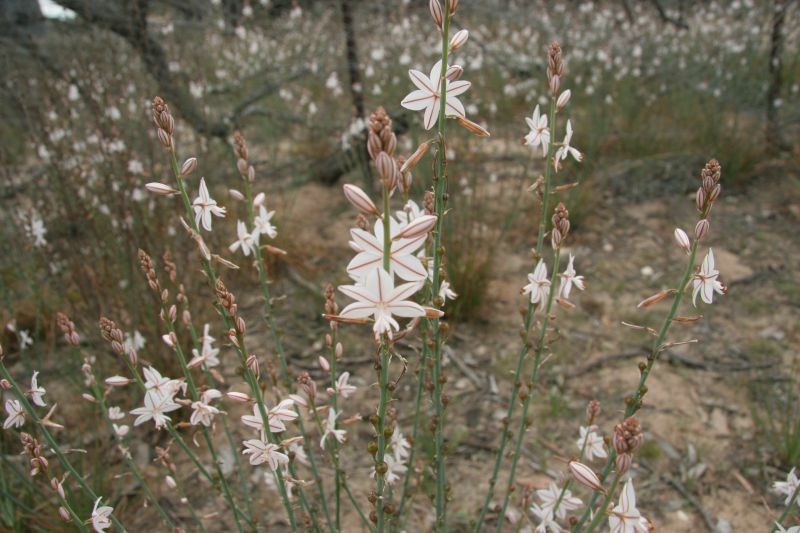 Heading off to the Ngarkat Conservation Park tomorrow. Sounds as though this is just the medicine you both needed. Keep on having fun and blogging. It is a real joy to read your travels. You are keen observers of the bush and descriptions are fabulous. Wish I was there with you.